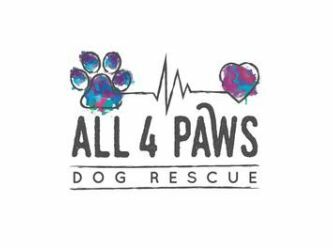 We are a small group located in the western suburbs of Melbourne who save dogs from pounds and surrenders and help find them their new families. 2. Include as much information as possible and it is never a case of "first in best dressed" when we are choosing the most appropriate new home. Matching an animal with a family is based on lifestyle, family members, attitudes to pet ownership and the personality of the pet. 3. Due to the number of applications we receive all correspondence is through email and if your application is short listed we will either call you to discuss it further and possible invite you to a meet and greet. 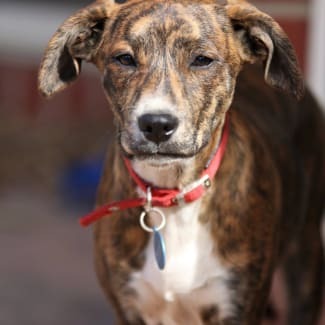 Please fill out an adoption form at www.all4pawsdogrescue.com.au and we will get the foster carer to contact you If you’re suitable Shy and calm, Mija (pronounced Miha) isa beautiful 6m old staffy x with her signature tiger stripes and a bright white patch and a short haired coat. Mija is in the process of learning her ways around her humans. She loves attention and pats. 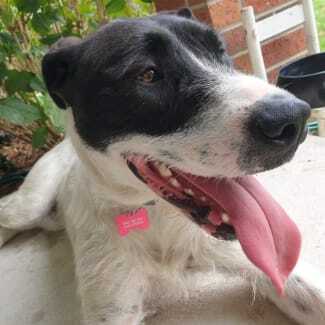 She loves running around the garden and plenty of sleep however still needs a lot of confidence building around humans. She will be a very good companion for her owners once she receives behaviour training and developes a bond with them. 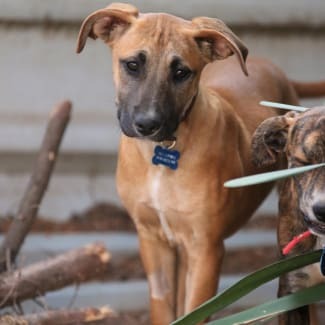 Please fill out an adoption form at www.all4pawsdogrescue.com.au and we will get the foster carer to contact you If you’re suitable Hi I'm Xena. I am approx 12 months old and a Wolfhound cross. I currently live with my foster family, Mum, Dad, 3 kids (10,7,4) and 2 fur siblings. I love being a part of a family, I know that I have to play gently with the kids and I understand that their food is not mine....unless they offer it. They are teaching me the difference between their toys and mine, I still get it wrong sometimes. My fur siblings are cool, even though they are older than me. They don't always want to play with me, I think because I'm still young I have much more energy than them. I would really love a young fur sibling to play with. My foster parents are teaching me manners and they tell me I'm doing great. I can sit and wait for food and I know where to go to the toilet. I get to be inside with my family when they are home and best of all I get to sleep in their rooms at night. I hope my forever family will allow me too as well. If you think I might fit in well with your family PLEASE contact my people. 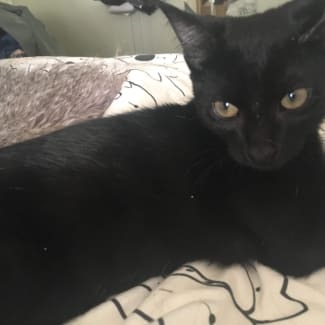 Tassie DSH Male 4/12/18 : Tassie is outgoing and playful always looking for something to explore he loves a cuddle and is super affectionate. Tassie has been with adult cats and a dog and has also been introduced to children. Melba DSH Blue Melba has had a very difficult start to life she found herself abandoned and living on the street and pregnant. 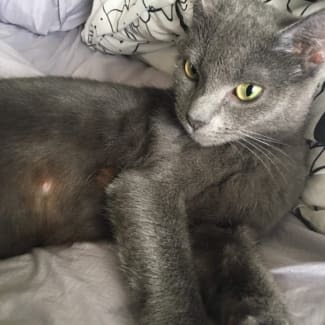 When she gave birth to her kittens she broke into someone’s garage and had her babies in their couch which probably saved their lives. As the family dog discovered them when they were around ten days old and they came into care. Melba has been a family pet before because she knew how to use the litter tray, she was so under weight and had been living on whatever she could find that food is still very important to her. Melba is probably best at this time in a home by herself she is friendly and affectionate with her carer but strangers can frighten her, we don’t know what happened to her on the street but as time her trust improves and her she’s only young so she will relax once she knows she’s safe. Melba has not been great with the other cats or dog so probably best she’s on her own at this time, older kids are probably fine.